Seattle’s second baseman leads the American League with 11 home runs and 32 RBI. 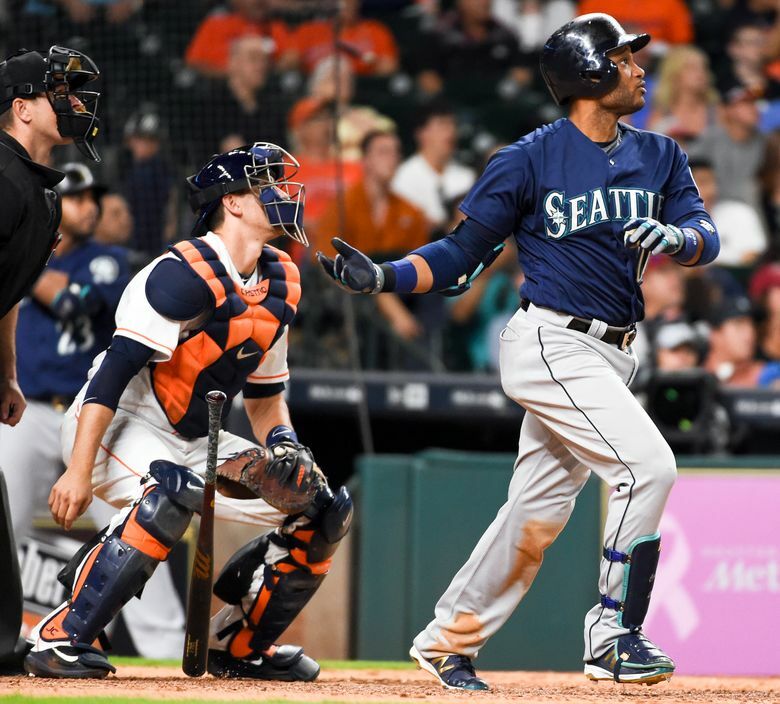 HOUSTON — Sure it’s May, and way too early to think of such things, but whispers of “MVP, MVP, MVP” can be heard with each big hit Robinson Cano delivers for the Mariners. There is little doubt Cano has been the most important player for Seattle in the first 30 games of the season. 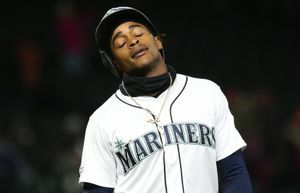 After seeing his team give up a one-run lead in the bottom of the ninth inning on a solo home run, Cano answered with a solo homer of his own — his second of the game — in the top of the 10th to provide the difference Saturday in a 3-2 victory over Houston. The Mariners improved to 18-12 and have won 16 of their past 22 games. They also have won the past six games decided by one run. Down 1-2 in the count against veteran left-hander Tony Sipp, Cano went with an outside fastball and drove it over the left-field wall. How hot has Cano been? Seattle manager Scott Servais predicted Cano’s homer to bench coach Tim Bogar in the 10th. But Servais wasn’t the only one to predict the homer. 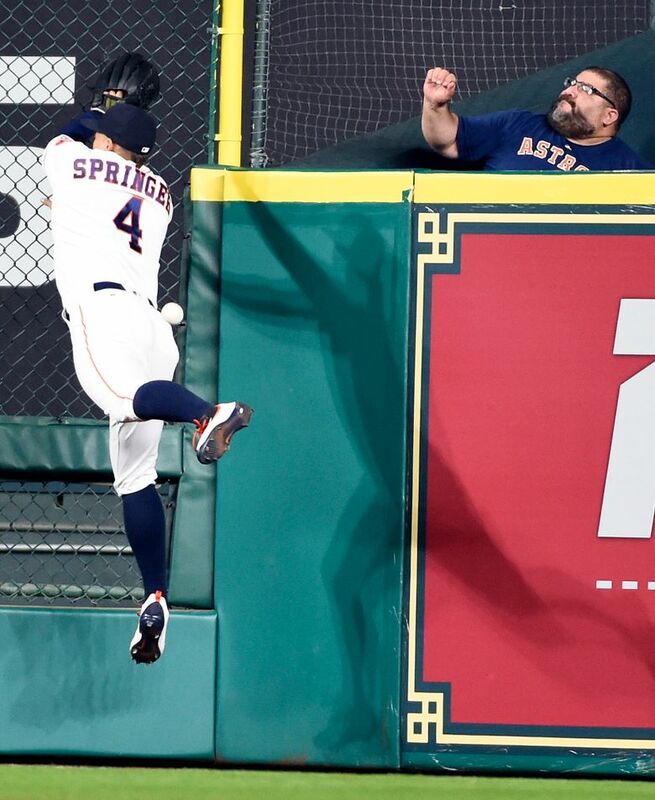 A young Astros fan seated near the Mariners’ on-deck circle did the same thing. Cano finished with four hits in five at-bats, including the two homers, and raised his average to .306. He now leads the American League in home runs with 11 and RBI with 32. Given a reprieve after blowing the save situation in the ninth, Mariners closer Steve Cishek picked up the victory instead, pitching a perfect 10th. Cishek was vying for his 10th save of the season when he entered in the ninth to protect a 2-1 lead. But he misplaced a 1-1 fastball over the middle to Luis Valbuena. Even though Valbuena hadn’t homered this season and was hitting just .174, he was ready for it. He hammered the pitch into the right-field seats to tie the game. 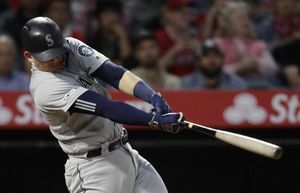 Seattle was in position to beat reigning Cy Young Award winner Dallas Keuchel for the second time this season as Kyle Seager opened the scoring with a homer, his seventh this season, in the third inning. Seager jumped on a first-pitch fastball. It was the same approach Cano used in his first three at-bats — all of which resulted in hits — the biggest being a solo homer to right in the third to make it 2-0. After Seattle starter Nathan Karns cruised through the first five innings, the Astros finally got to him in the sixth for a run. But Karns showed some mettle, leaving two runners on base with two strikeouts to end the inning. Karns found more trouble in the seventh, and this time his bullpen bailed him out as Nick Vincent came in and got a pair of ground-ball outs to end the inning. Karns worked 61/3 innings, giving up just the one run on six hits with two walks and nine strikeouts.